Where is your College located in relation to the Capital of your state/territory St Andrews College is located in Western Sydney. 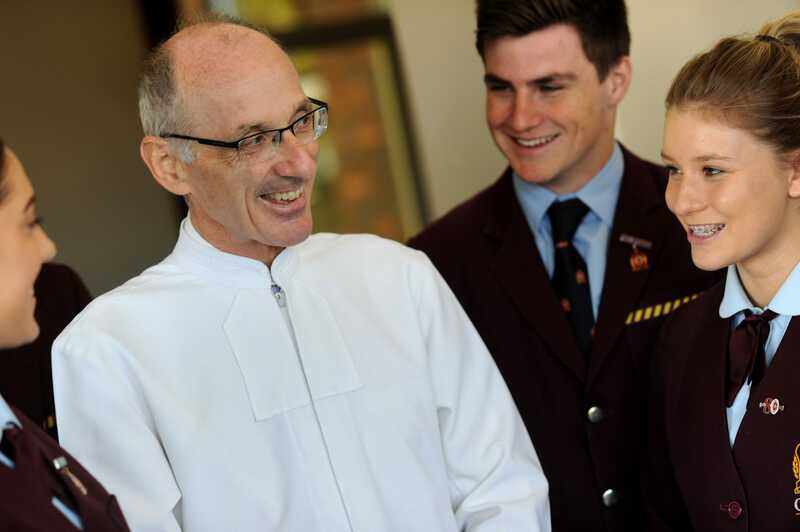 St Andrews College is part of the Parramatta Diocese and is a systemic school. Teachers gaining confidence in their roles as teacher leaders and students becoming well rounded young men and women. Diversity is what I am most proud of. St Andrews College has a rich and successful history is the creative and Performing Arts, Physics performance and has a very successful Diving Team. This is just one example of the diversity the College demonstrates. The students and staff are very proud of their school and are motivated to learn. Challenges for St Andrews College and other schools in the area revolve around equity in funding for students with learning needs as well as facilities. St Clare's students are community centred and have a strong conviction to social justice and serving those less fortunate. Our community service and outreach programs are far-reaching and are student-driven. Our students are guides by our school motto "Praise God by your Life" At St Clare's our staff have high expectations of themselves and our students. 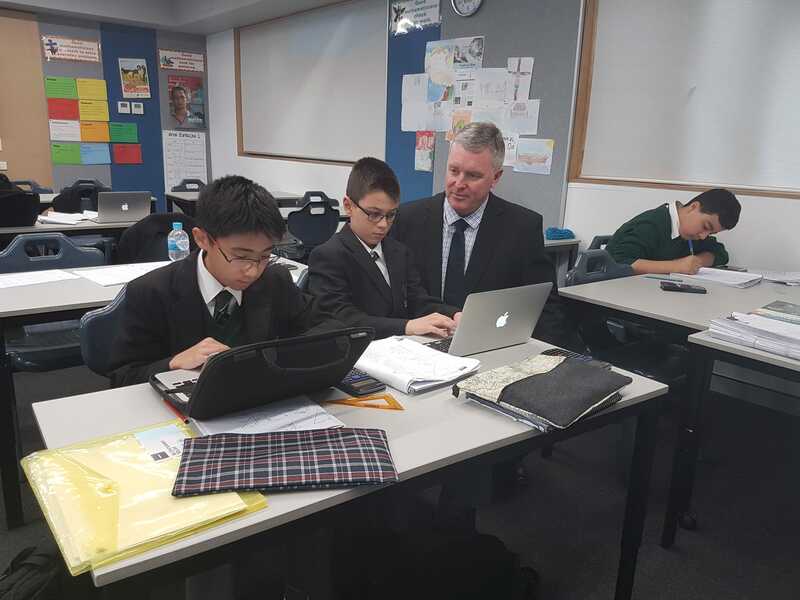 More recently our school has been embarking on implementing Project Based Learning across the school by 2020. This inquiry approach is an exciting time for our community as we strive to ensure our students develop and meet the general capabilities and milestones to be competitive in the global enterprise beyond their schooling years. At present we are experiencing a decline in our enrolments, particularly from our local catholic primary schools. This is a direct result of the relevancy of being a 7-10 school. Our parents/community would like to see a continuity of schooling for their son or daughter to be in one school for years 7-12. We currently are being supported by the Catholic Education Diocese of Parramatta to explore the possibilities for our community. We are also experiencing a changing composition of our student population. We currently have equally 50 percent of students who are Catholic and 50 percent of students who are non-Catholic. This has presented us with an opportunity to ensure we meet the needs of all students as they encounter formation experiences and opportunities to develop values and tenants that are underpinned by our Catholic faith and Church teachings. From my point of view I see that Catholic schools will need to be self-sustaining into the future as changes to the funding of non-government schools is now a reality for many of our schools and systems. It is also essential that the provision of Catholic schooling continues to maintain as a priority the opportunity for families who might be facing significant hardship to access our schools/services. Facilitating school initiatives that have a positive impact on student outcomes. Our development over recent years as a Professional Learning Community. This has led to innovations embedded into school structures that facilitate all students learning to their potential through access to flexible learning opportunities. The strong sense of community support at St Mary's. Increasingly our Catholic schools are becoming the main conduit for both the introduction and growth of the Catholic Faith with our students and their families. Thinking outside the square and viewing our schools as the "Church and a link to faith journeys of individuals" is imperative for the future success of Catholic schools. The achievements of our students and staff, their unity to work together for the betterment of the College and our students. children to the College and are active members of the Church community. Keeping the Maronite Catholic Identity active in the College youth and the parish youth. The commitment for children to learn and have a respectful attitude and nature to their fellow peers and teaching staff. There needs to remain a mutual hands on respect away from IT and social media. Where is your College located in relation to the Capital of your state/territory We are located in the Northern Rivers of NSW, about a one hour from the Queensland border. Once an all boys' boarding school run by the Marist Fathers, St John's is now a Systemic co-education 7-12 day school. In what year did you commence as Principal of this College 2012. Prior to my appointment to St John's I was principal at St Paul's Catholic College Manly for six years. 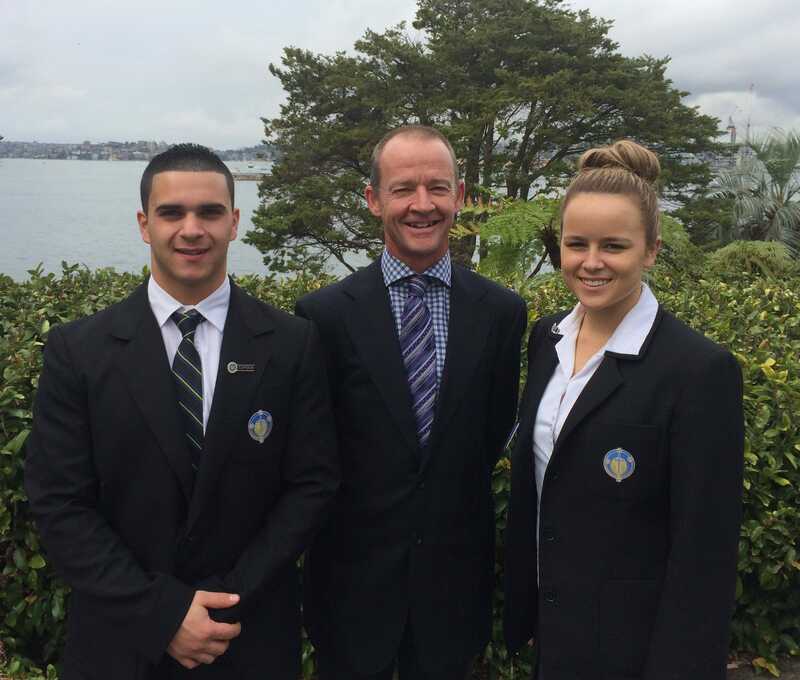 Witnessing achievement by staff and students beyond their personal expectations. The College is a particularly welcoming community. It is easy to feel at home and get involved in a school that students are proud to attend. Many people have moved to the area for life-style reasons, to remove themselves from the pressures of big business or city life. Trying to maintain a focus on achieving one's potential often conflicts with the general milieu in the region. As well as this, the discrepancy between the numbers who identify as Catholic and those who genuinely make a contribution to develop a dynamic Christian community is palpable. Playing a part in the re-building of a credible Catholic community. Taking staff formation to a level beyond "carrot and stick" enticement. km South West of Sydney in the Macarthur region. There is a great satisfaction in seeing people with great ideas and knowing that I have the ability to support them in these. I have been given great energy from the professionalism of the staff around me and the welcome given by the students. The immense work of the staff to provide extra opportunities for the students in their care. The culture of learning that is evident in the students. The massive growth in population in the South West of Sydney has resulted in enrolment pressures on our schools. Trying to maintain the focus on learning and academic excellence is impacted by the many extra pressures placed onto schools by wider society. Fall out from the Royal Commission and the impact on "brand"
Make a difference in the lives of students and seeing them achieve more than they thought they could. I love the variety of the job and the interactions with parents, students and staff. I am proud of the aspect that there is a willingness in the staff and students to take on challenges and make changes. The significant challenge is to maintain an authentic Catholic school in a secular world with preference for the poor and marginalised. One of the main challenges is the changing nature of society's view of religious institutions. There is a challenge to be authentically Catholic and balance the demands of the secular world. The second issue is the significant change agenda that exists in all aspects of education, being a 'change manager' is the main job of a principal and we are beginning to see change fatigue in staff and this is an issue around retention of the good staff. Seeing students develop positive relationships with each other and with staff. The strong sense of community spirit and the focus on service. In a competitive market and with the high cost of living, enrolments are always a challenge as many parents choose the easy option of cheaper public schooling. Faith-based education in an increasingly secular society represents a challenge for all Catholic schools and we have to work harder than ever before to maintain our relevance in light of recent negative press. Also concerns regarding the funding of Catholic schools in the future. Working in a wonderful and happy community of staff students and parents. Interacting with all in this community is satisfying. The high standards being achieved by students and the dedication of staff. Being a 7-10 College is a challenge in preparing students for stage 6 and HSC. Connecting the College community to the Church in a growing secular society. Carrying on the Mercy tradition in an all-girls school in the heart of Cronulla - a very different experience to Baggot St in Dublin! The Mercy in Action Group - a social justice group which is heavily involved in works to assist in the local community and the Sisters of Mercy. Our ability to provide a selective stream for talented students, while at the same time a dedicated special education unit. Providing that point of difference that stays true to our Catholic ethos but is competitive with the other schools in our region. Remaining true to our Catholic identity and charism within the state framework and standards. Where is your College located in relation to the Capital of your state/territory : Orange is located in the Central Western Tablelands of NSW. It is a major regional centre 270 km north west of Sydney, across the Blue Mountains, situated between Bathurst and Wellington. What is the nature of your College JSCHS is a systemic Catholic school, part of the Bathurst Diocese (Catholic Education: Diocese of Bathurst). It is a coeducational Year 7 to 12 school. What was your role prior to taking up this appointment I was the Assistant Principal of JSCHS from 2009 to 2017. I entered teaching in 1987 and have been teaching continually since that time. I have taught in five schools (two city schools/ three country schools) over my 32 years. I have also held positions of Head Teacher of HSIE and Head Teacher/ Subject Coordinator of English. I have the greatest satisfaction in supporting our students to leave with a strong understanding of compassion guided by Catholic teaching a compassion that goes beyond their immediate family and friends to their communities and to those with far less in our society and in our world. Hopefully, they also leave with integrity and open hearts to those who do suffer disadvantage, poverty, despair and discrimination. I also gain great satisfaction in leading a school where we are focused on nurturing in our students a deep understanding of our Christian faith and knowledge of a caring God and a promise of salvation which should hopefully provide our students a tremendous and incredibly powerful sense of hope that can nurture, challenge and sustain them throughout their lives. I think our parents and students would also say that we provide a powerful sense of belonging and we are also very proud of this. We have fantastic students who have a strong reputation in the Orange Community for their respect, courtesy, politeness and enthusiasm. I feel we provide a powerful 21st Century Education, very much built on the concept of a holistic education, where hopefully our students leave with a strong sense of faith, with skills to help them to be both successful in careers and also to be successful in all aspects of their lives, in families, in communities and within themselves. I think the school is epitomised by its values of courage, compassion, hope and belonging. The courage to be good people, to make a difference in the lives of others, the courage to take on challenges and to grow through risking discomfort, failure or setbacks at times. As a regional school we must work harder to ensure that our students have the same resources, opportunities and experiences that student from Sydney and Australia's capitals enjoy. This includes exposure to multicultural experiences, opportunities to excel in their personal strengths, such as sport, drama, dance, music, etc, and exposure to post-school possibilities, including tertiary institutions, career and work choices. With declining Parish and organised religious involvement of families, we need to always explore ways to give our students an awareness of the profound support and strength that Christian belief provides and hopefully continually search for ways to strengthen their commitment to sustained, life-long faith practice and openness to God's presence. Secondly, Catholic schools need to continually reflect on how they attract and support students from the full spectrum of Australian society, particularly students from low income Catholic families who for a variety of reasons may not be accessing Catholic education. Being the Founding Principal of a new school offers infinite possibilities. I'll be implementing the latest evidence-based research and practice in learning and teaching, to help to prepare students for the future. In a world that's constantly changing, in particularly in a work force, where the types of jobs are changing, schools need to help students prepare for their future - this is exciting!! Santa Sophia will have a strong focus on core enterprise skills - critical thinking, problem solving, digital literacy, financial literacy, creativity - and will provide opportunities through the learning for students to develop these skills. What is the nature of your College Independent Co-ed. What is the nature of your College Co-Ed Year 7 Year 12. What is the nature of your College Independent Girls school in the Good Samaritan tradition. Year 7 Year 12. Initiating changes in curriculum and pedagogy that bring about greater learning for every girl at the College. Poverty. For some the inability to give the best to their children because of a lack of resources and others their limited understanding of the power a good education has in lifting their children out of the cycle of poverty they are experiencing. What do you believe are the one or two main issues confronting Catholic Secondary Colleges nationally The relevance of the church in the lives of the congregation now given the reputational damage it has suffered and will continue to suffer in this generation. Diminishing number of teachers who are committed to their religion so that it becomes increasingly difficult to employ people who are able to contribute to the charism of a catholic school. Where is your College located in relation to the Capital of your state/territory Burwood, NSW: Inner West, Sydney. How many students 250 Full time students, Year 9-13 (including post school programs), 190 Part time/External students. Being involved in the successful establishment of a new educational and training entity, leading and embracing innovation and contemporary thinking. 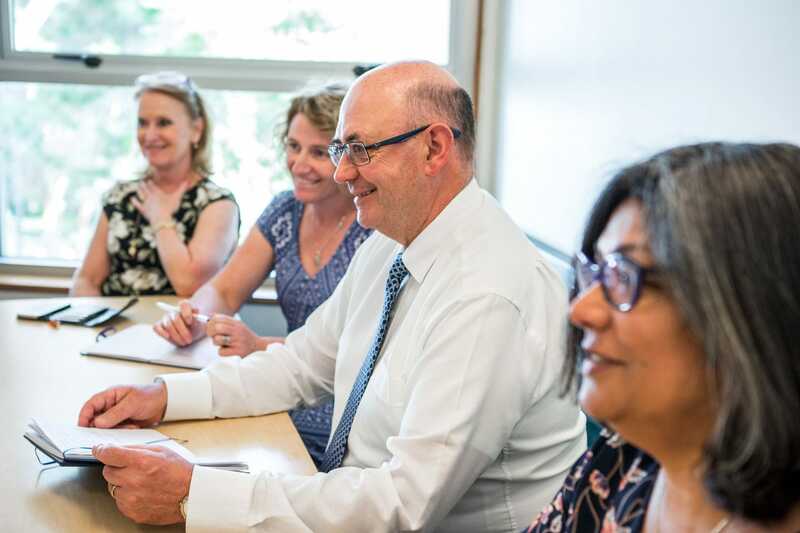 Working alongside colleagues committed to Senior school experience and pathways focussed on the building of skills, competence, confidence, character and faith. Providing meaningful, engaging, applied learning pathways in and through the HSC, in a Centre of Excellence-recognised in part through twice being a National Award Winner. Providing personalised, flexible and adaptable learning pathways, including School Based Apprenticeships, Traineeships and Enterprise activities, which provide fanastic personal and professional opportunities for our young adults, in the context of a faith community. A shared, genuine valuing of a Vocationally focussed HSC-a valid and important pathway, one which suffers a 'parity of esteem' alongside the pursuit of the ATAR. Growing and maintaining an engaging and enriching faith experience for all in this community of faith. What do you believe are the one or two main issues confronting Catholic Secondary Colleges nationally Sufficient and equitable resourcing of all non-Government schools, especially those such as Trade Training Centres who are additionally resource intensive. Maintaining and balancing community trust and confidence alongside an authentic response to historical Church abuse. Seeing students get the opportunity to succeed in areas that they once may have not even been able to access. I enjoy seeing them put the hard work in and succeeding academically, culturally, in the community and on the sporting field. I am also proud of the growth we have had, not only in our enrolment numbers, but also in the outcomes achieved by students in their HSC or work opportunities. We have moved into the 200's on ATAR over the past 4 years up from numbers in the high 400's. We have also increased our VET offerings and numbers within those courses to better cater for students needing to progress into employment rather than to tertiary study. I believe now have a better balance of courses for students, but we are always looking to improve that even further..
What are the main challenges to you and other Catholic schools in your local area Kempsey is a low SES area so aspirations sometimes are low, in line with wages and job opportunities so we work hard to ensure as much access to employment outcomes an academic success as we can. Low fee schools rely on a lot of good will, supoort above and beyond from staff and the community to ensure we can provide a quality education for all of our students. What do you believe are the one or two main issues confronting Catholic Secondary Colleges nationally Funding for everything - interventions, extension, facilities, specialist staff, community engagement and opportunities. We can all offer a traditional curriculum but this is not what our students need. They need real world opportunities and that takes resources, time and money which seems to be a difficult thing to provide for many schools around the country. I also believe that Catholic Schools will suffer when the TJH Hearing hands down its verdict and recommendations (possibly justifiably so) as well the implications of 83C and other governmental imperatives placed on schools. It's becoming a question of.... when am I going to find time to do that...?. Where is your College located in relation to the Capital of your state/territory South Western Sydney, 20km from the CBD. Working with refugee students, working with committed teachers. Upgraded facilities that meet the learning needs of students in this community. Strong, consistent growth in student performance data. What are the main challenges to you and other Catholic schools in your local area Overcoming the literacy obstacles confronting newcomers, engaging parents more meaningfully in the education of their children. The changed landscape of Government funding that threatens our capacity to maintain low fee systems of schools. The relentless growth in teachers tasks that have little or nothing to do with teaching and learning.